A few weeks ago Adrian and I were having dinner before attending a funeral. As we were paying at the cashier stand, I pulled my iPhone from my pocket to have it slide out of my grip and land, from a height of approximately 4-feet, on the tile floor. I picked up the phone and quickly inspected it to find it had a little fracture in the upper right corner of the glass face. 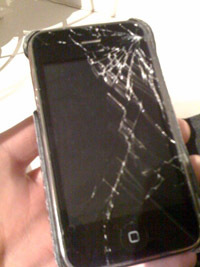 The phone worked as normal and I didn’t mind the minute cosmetic damage. 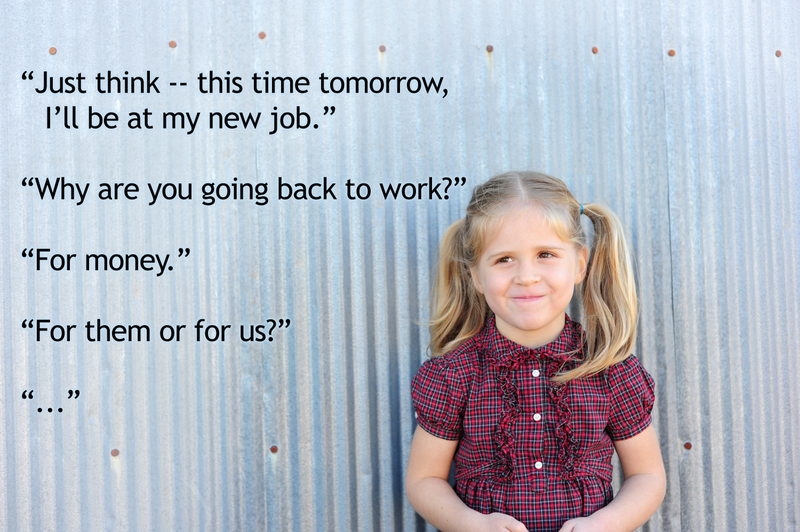 Fast forward a couple weeks and I’m getting up from the couch on Saturday night to go to bed. As I’m getting up, the phone slipped out of my pocket and fell the 15-inches to the hardwood floor and must’ve hit just perfectly because the glass face spiderwebbed. After living with my cosmetically mangled iPhone for a couple days, I decided to look into trying to fix it myself. I found an iPhone 3GS replacement digitizer kit on Amazon for next to nothing. I excitedly waited for my replacement kit to come in the mail. In the meantime, I started studying up on how to replace my phone’s digitizer. And at last, today was the day that the replacement digitizer was delivered to our mailbox. I’d made a run to the grocery store after work and before I stopped to get the mail. 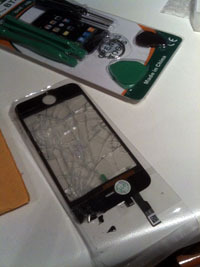 When I got home, I had the mail in-tow, with the bubble wrapped package containing my iPhone digitizer replacement kit. I hopped out of the Jeep and put the mail on the garage floor so I could bring the groceries into the house. Elise had to run a quick errand so we were two ships passing in the night. A couple minutes later, Elise came back into the house to inform me that she’d accidentally run over the mail. My bubble wrapped package containing my digitizer replacement kit was included in the carnage. 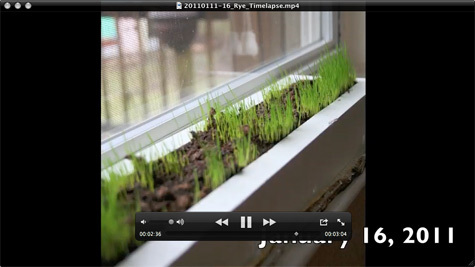 When I decided to grow the Chelsea Lawn, I thought it would be cool to do a time lapse because, as I’d recently discovered with our little Santa rye grass pot, rye grass grows quickly. This is my first photographic time lapse and, although it’s not as cool as I was hoping it would be, it was still a fun and relatively easy project. All I did was setup our Canon Rebel XT on a tripod, hooked the camera up to my computer with a 10′ USB cable and set OS X’s Image Capture (I don’t know why Apple doesn’t tout this little handy application) to shoot a frame at 5 minute intervals. I’d click ‘Start’ in Image Capture at around 8 a.m., go about my day and then click ‘Stop’ around 5:30 p.m. Then I simply dragged that day’s photos into iMovie to build up my movie comprised of over 1,000 images over the course of 5 days. 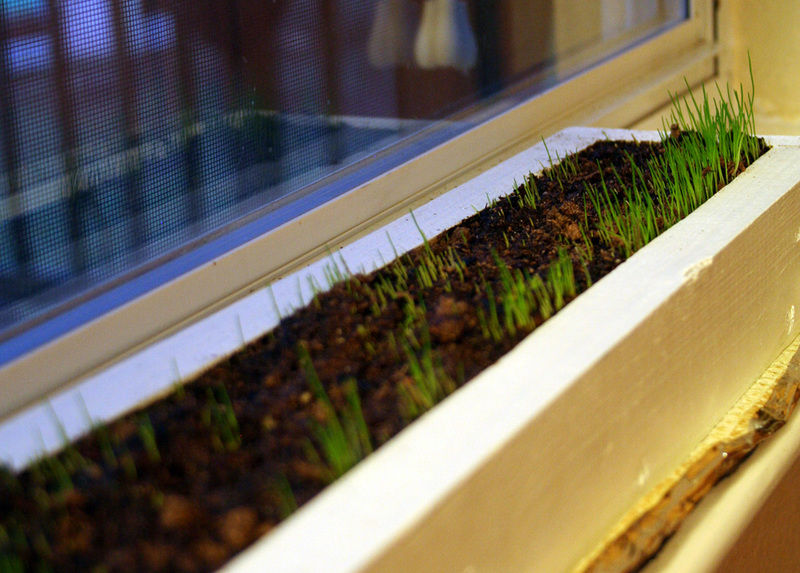 A photographic time lapse of grass growing probably only requires a frame every 10-30 minutes. On my first two days, I’d set Image Capture to shoot a frame every minute. It wasn’t until the 3rd day that I changed it to shoot a frame every 5 minutes. This time lapse probably would’ve worked better had I shot in landscape versus portrait. If possible, connect the camera to an external power source if the shot sequence is going to extend beyond the capacity of your battery or batteries. The shifting of the frame from day to day in this video is due to my having to move the camera to swap out batteries. Manually focus on the subject of the time lapse for a consistent focal point. Rye grass grows quite a bit overnight. 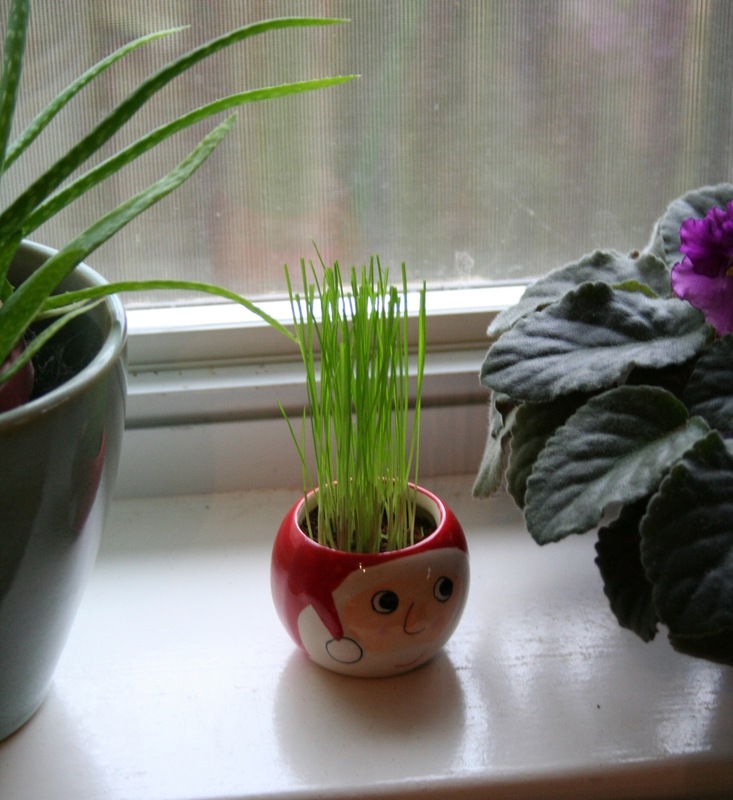 For Christmas, Joanne sent Maly a little Santa head pot with a little package of rye grass seeds. 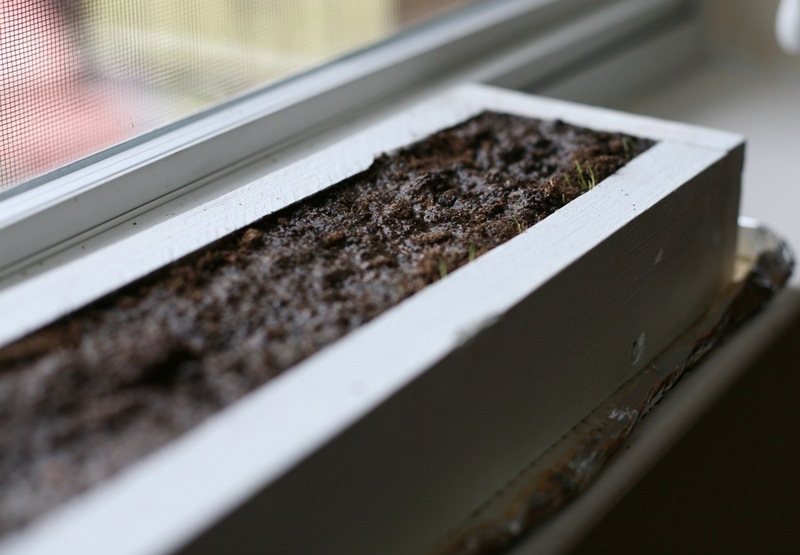 A few days before Christmas, Maly and I planted the seeds and were able to watch the seeds turn into bright green blades of grass. Maly got a kick out of it because she was able to see the “fruits” of her labor, and she likes to give Santa a haircut every couple days. 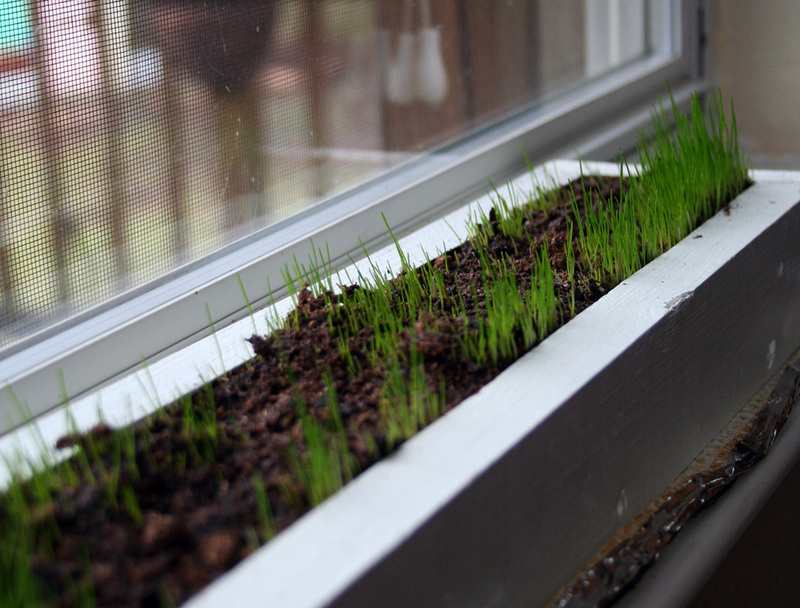 I enjoy looking at the vibrant green blades of grass on our kitchen window sill. 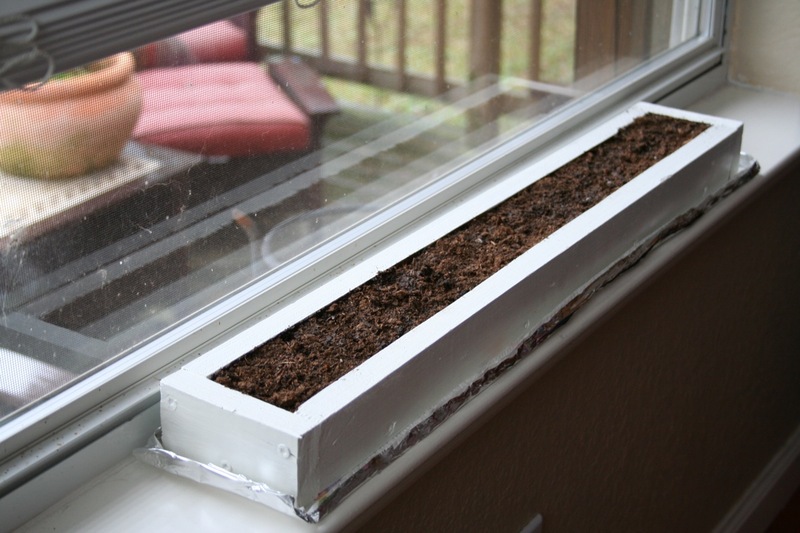 The growth and life are refreshing, inspiring and invariably puts a smile on my face when I make my morning coffee. 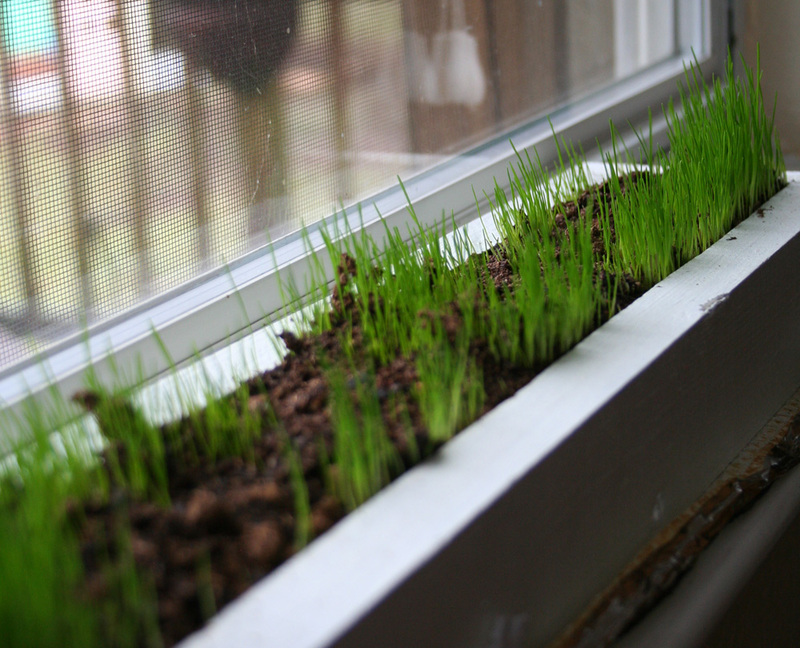 Last night I was inspired and decided we needed a little rye grass lawn in our house. 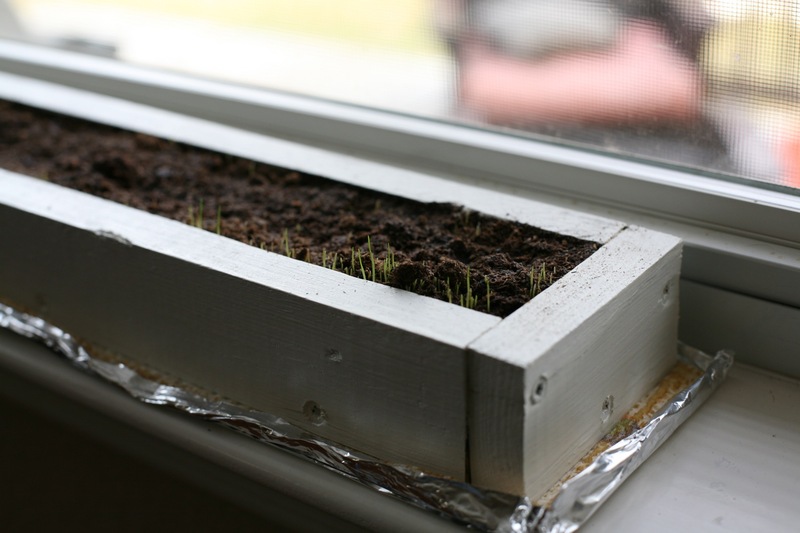 I ran over to the HoPot this morning and picked up a bag of rye grass and some scrap lumber to make a planter box. 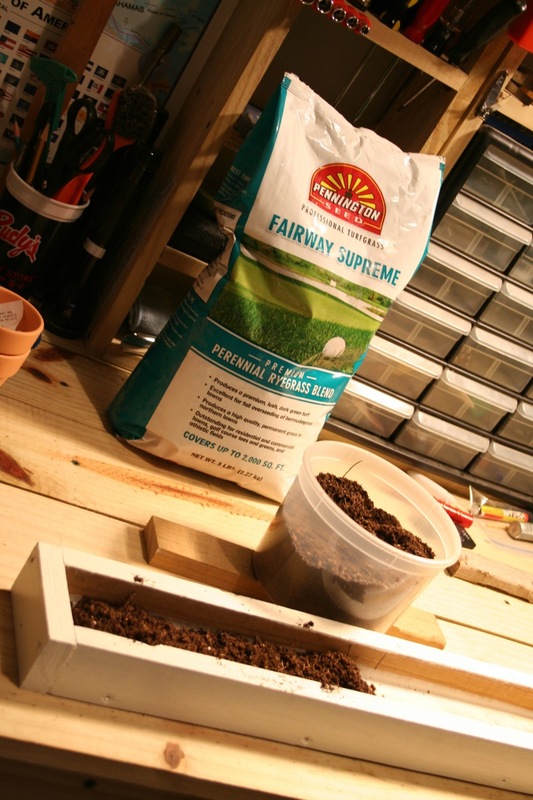 I built a little 2-foot by 4-inch box about 2-inches deep, slapped some leftover trim paint on it, put down a layer of combination peat moss and potting soil, a heavy layer of rye grass seeds and another top layer of soil. Then I went outside and poured a cup full of rain water from our rain barrel to water my new lawn. 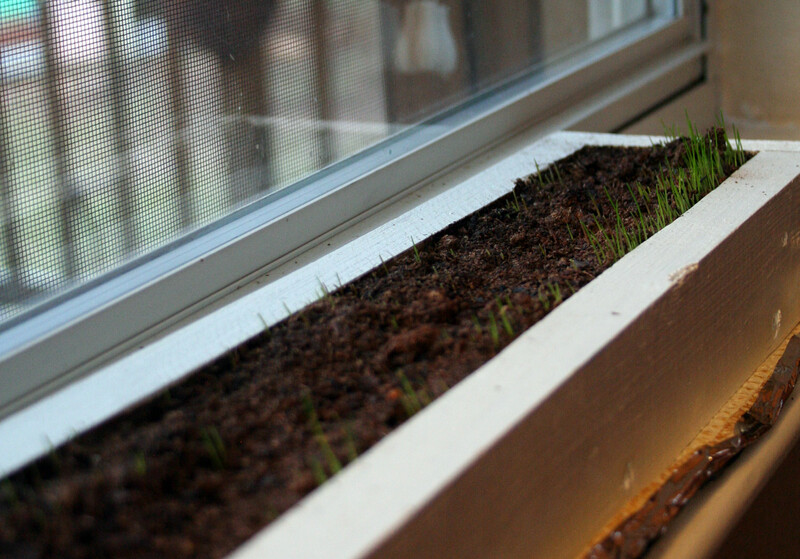 Hopefully in a couple days we’ll have a cool little planter box with some lush & vibrant green grass growing. You can watch the 5 day time lapse video here.